Aston Martin DB5 as seen in Golden Eye, 1995. 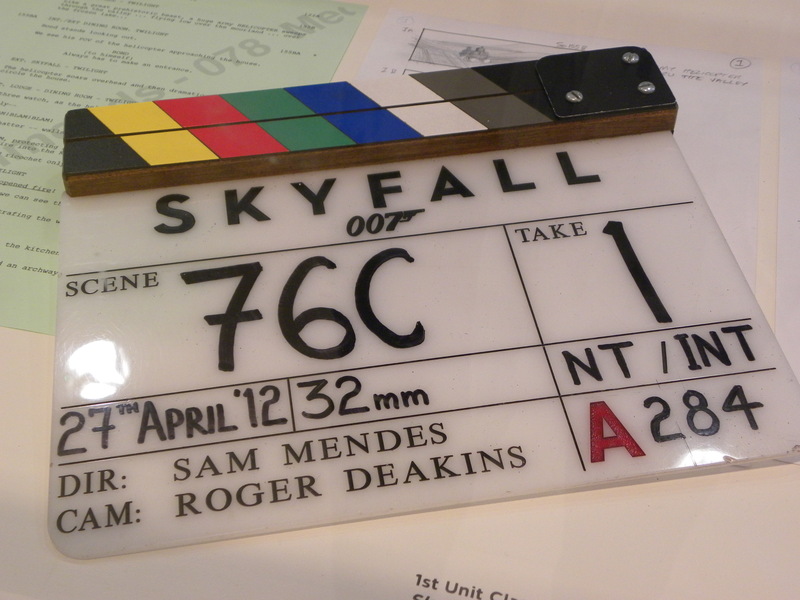 Now who doesn’t love an evening spent watching good James Bond films? 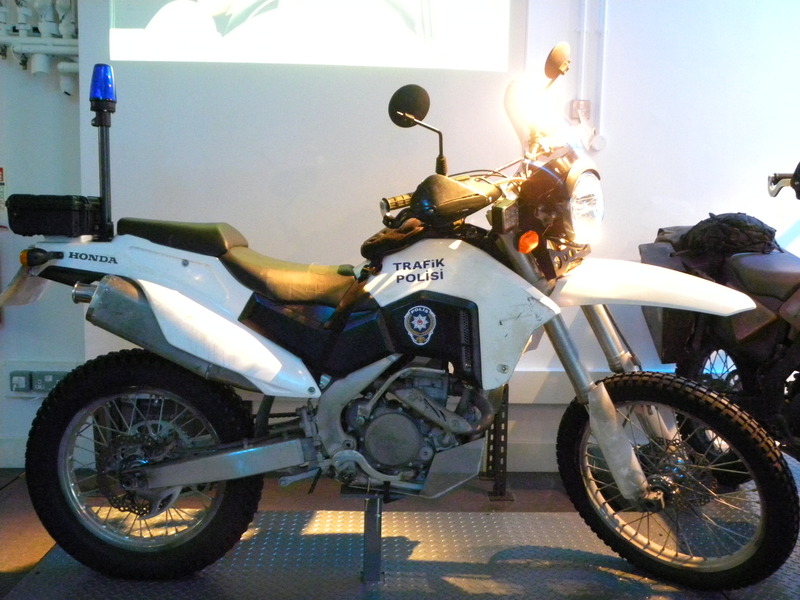 When I saw that the London Film Museum in Covent Garden was putting on a James Bond exhibition or more accurately Bond in Motion exhibition – ‘the largest official collection of original James Bond vehicles’ I reveled. 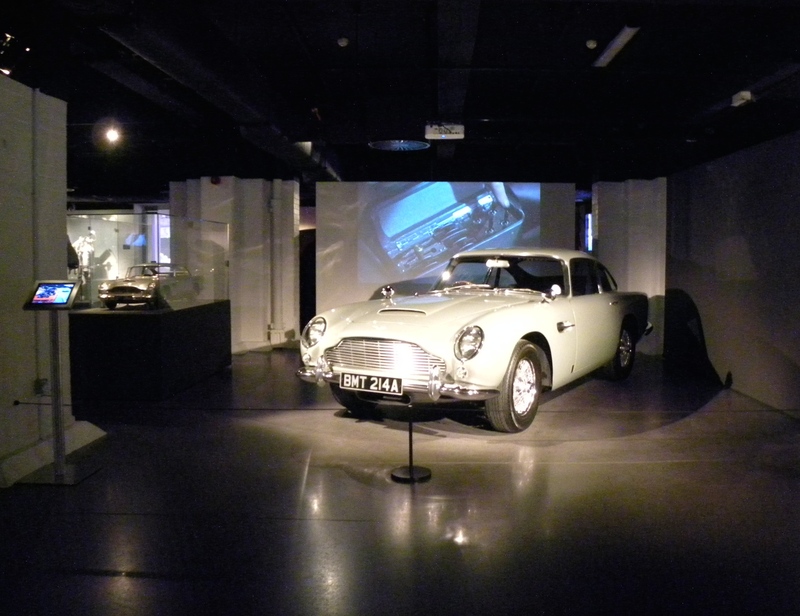 It’s a terrific exhibition that displays the high performance luxury machinery tweaked with a few unique add-ons (courtesy of Q) that are central to the iconic chases and pursuits of the oh so suave James Bond. 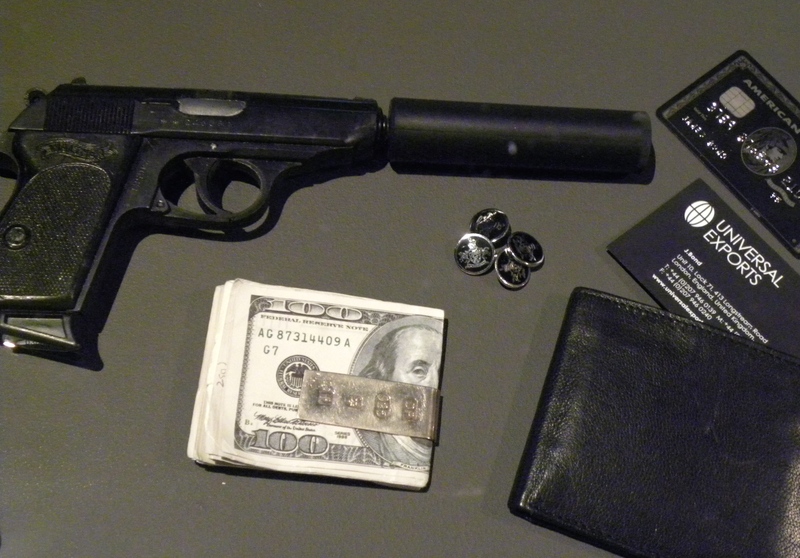 The essential Bond accessories consist of a gun, cash, a black American Express card and cufflinks. Stunning vehicles such as the Aston Martin DB5 and DBS, Rolls-Royce Phantom III and Rolls-Royce Silver Cloud II are on display along with a selection of more creative action vehicles such as the submersible Lotus Esprit S1 and the crocodile submarine. 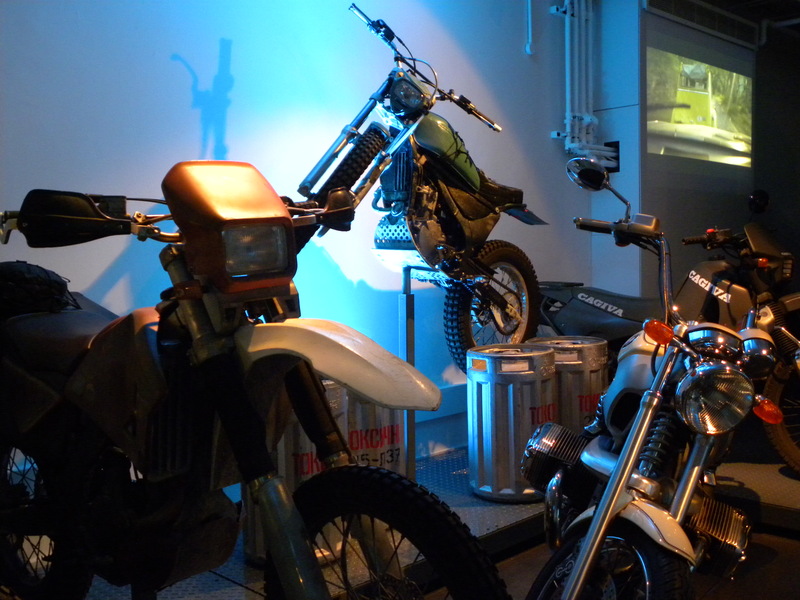 A variety of aircrafts, motorcycles and boats are also on display and despite what the name suggests the exhibition also includes a few other props used in the film franchise. 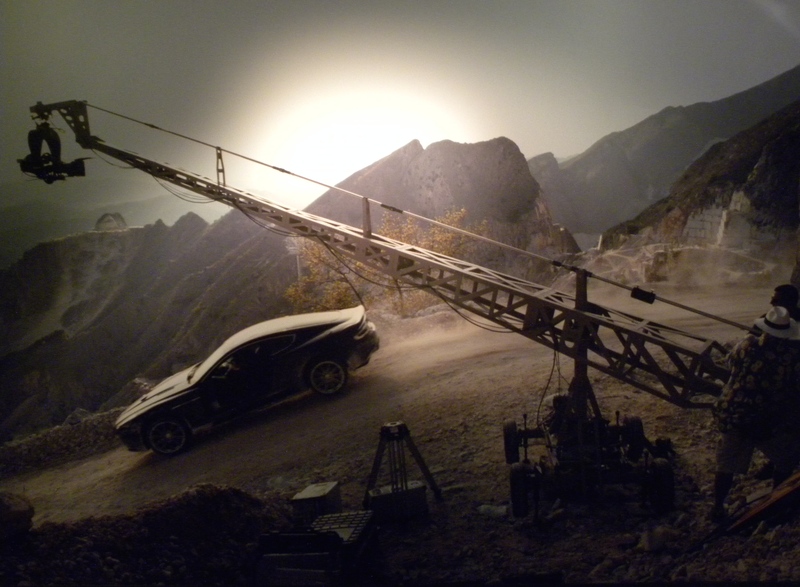 Filming car scene for Quantum of Solace, 2008. 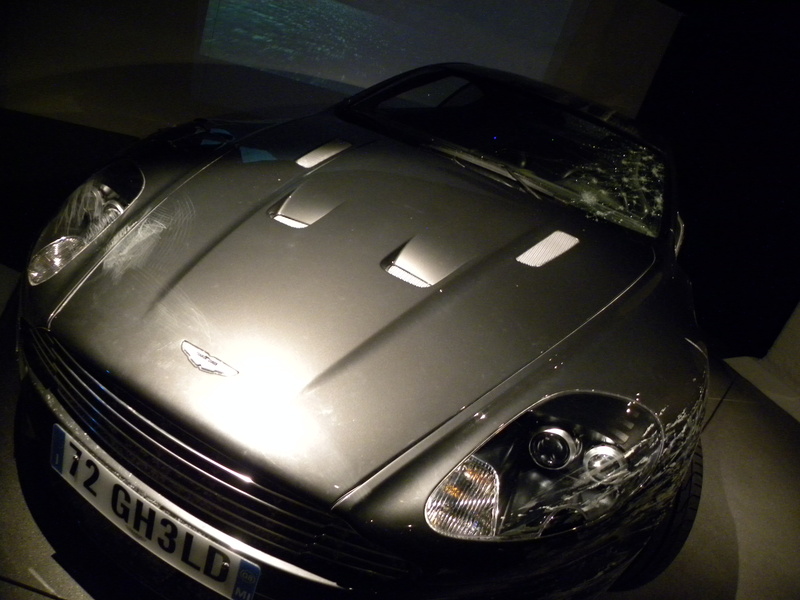 Aston Martin DBS as seen in Quantum of Solace, 2008 along with the bumps, scratches and damaged windshield following the stunts. 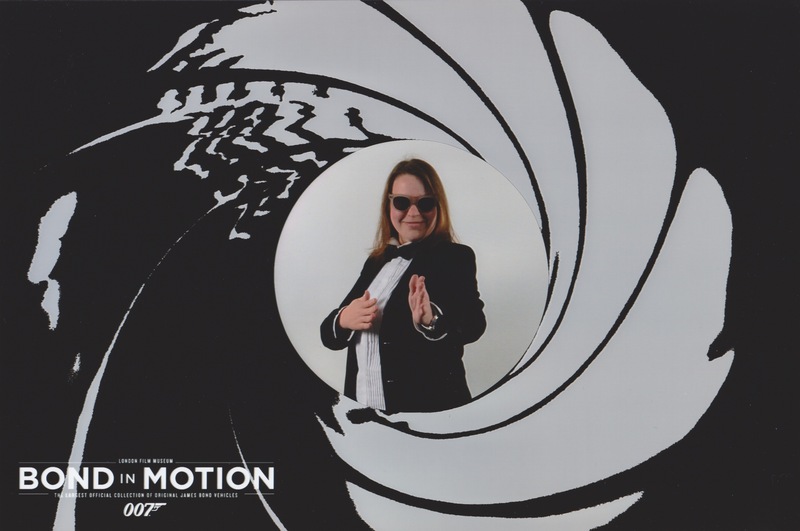 Yours truly enthusiastically got dressed up in a tux with bow tie to have an impromptu Bond themed photo shoot. Lights, camera, action! Exterior MI building model. Michael Lamont. 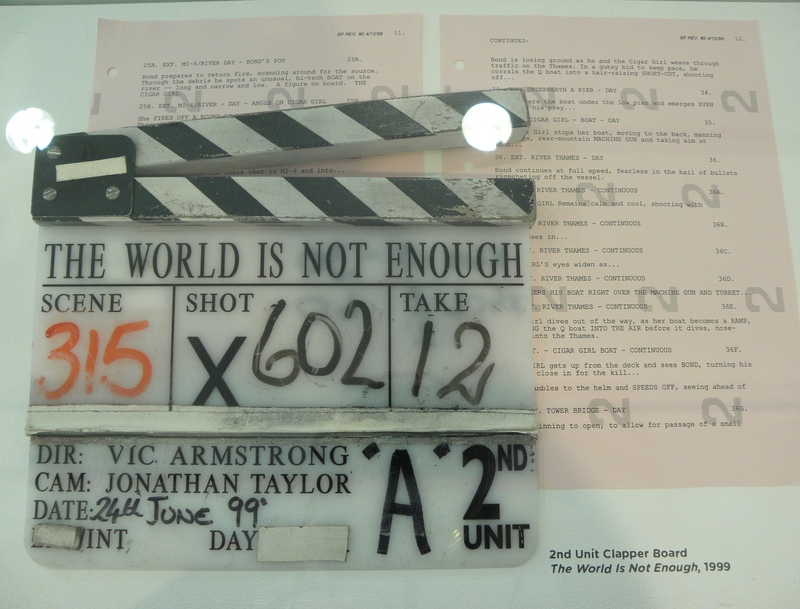 The World is Not Enough. 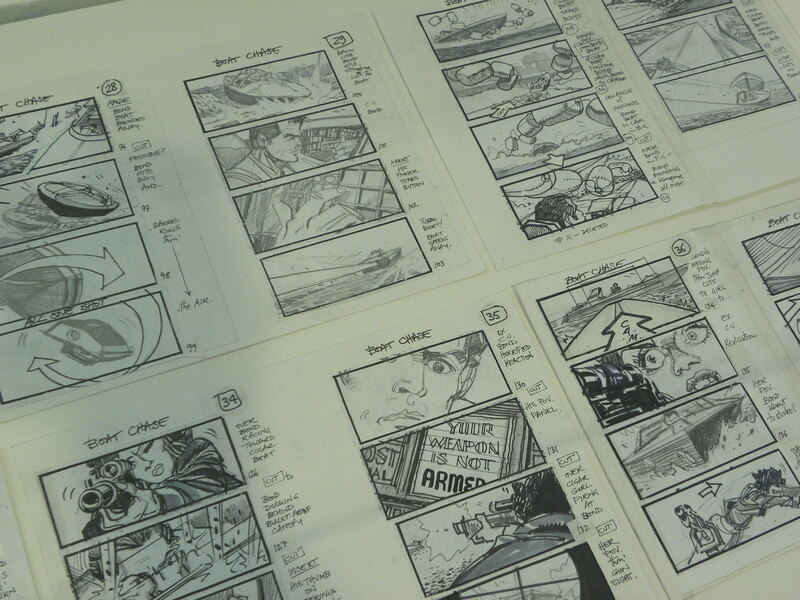 Examples of elaborate storyboards that look like proper comics such as this for The World Is Not Enough shows a visual layout of events as they are to be seen through the camera lens and demonstrates the creative process of the production company’s art department. 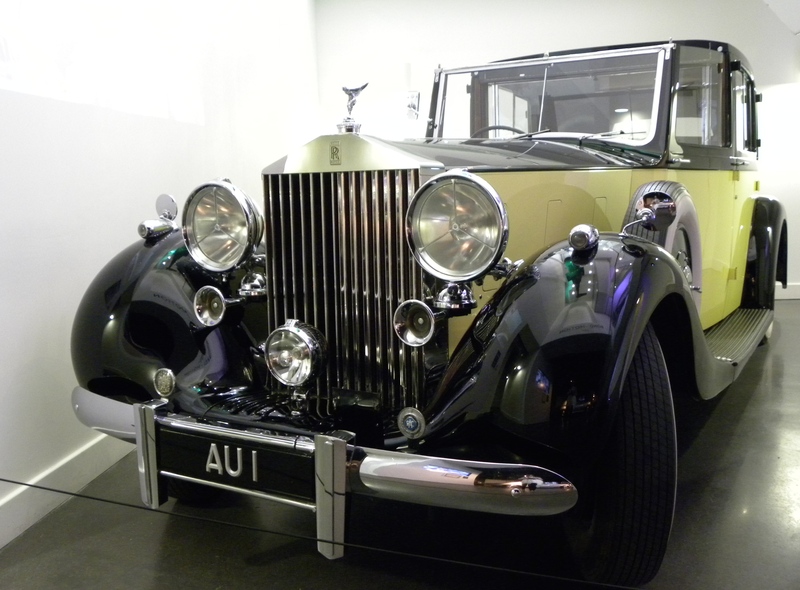 Rolls-Royce Phantom III as seen in Goldfinger, 1964. 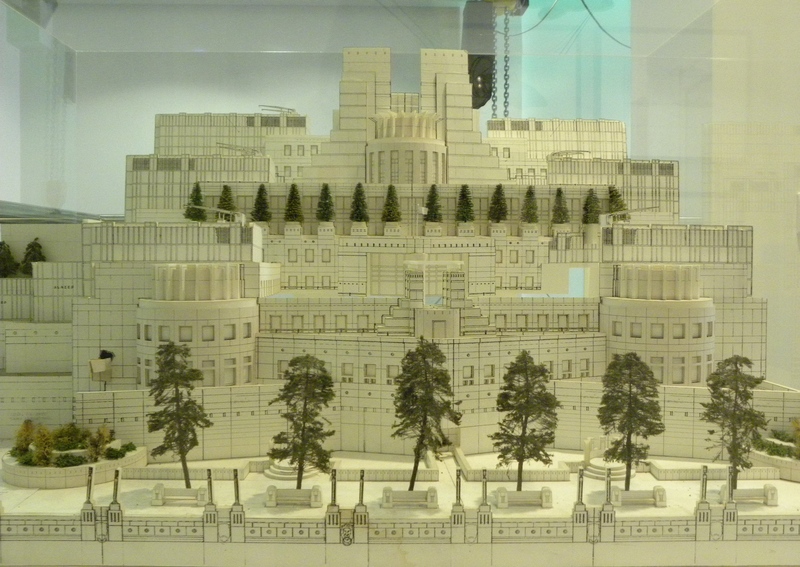 This entry was posted in Exhibition, Film, London, Museum, Museum Exhibition and tagged Bond in Motion, Exhibition, James Bond, London, London Film Museum, London Film Museum Covent Garden - Bond In Motion by linneabylinneanilsson. Bookmark the permalink. Fabulous you, finally back in the movie world! I loved the art film you made in Beijing, any new projects soon? How interesting. Love the old Rolls. Perhaps as a new slant the next Bond could have a female lead. Jemima Bond?